The very first lessons I teach any of my students are the ones that will prepare them for what’s to come. The entrepreneurial path is a roller coaster. You need to do a Vulcan Mind Meld between your mindset as a “Musician” and your mindset as an “Entrepreneur”. That’s how you can arm yourself with a set of key values… The kind of values that keep you moving forward AND guide your decision making along the way. The “Musicpreneur Mindset” is the engine with which you can sail your ship to freedom! The “DIY” movement was a great first step for moving away from how the traditional industry has worked. It’s become more nuanced than the “Do It Yourself” title indicates, though. There is a LOT that goes into building a business. More than you could ever do yourself. Especially if you want to have plenty of time to make music! Being a Musicpreneur is the next step in the evolution of the Independent Musician. At the core what you bring to it is the perspective of being a Small Business Owner… like your local florist, mechanic, or restauranteur. As a Small Business Owner you need to learn the entire business from top to bottom. Then, once you know how to do everything, you’ll know which parts you can outsource. But until the end of your days you have to be the Boss, the President, the CEO, the Captain of Your Business. Your artistic sensitivity WILL collide with your entrepreneurial responsibilities, resulting in emotional turmoil. That’s OK. I have some Ancient Toltec Wisdom to help you deal with that. 1-Be Impeccable With Your Word. Don’t gossip. Don’t give voice to your self-doubts. Don’t give in to jealousy. 3-Don’t Make Assumptions. Get it in writing. When you’re unsure of anything, ask. That will fix a lot of things before they go wrong. 4-Always Do Your Best. Your best at 9 pm during soundcheck will be different than your best at 9 am after a show. So make sure to account for your circumstances when judging “your best”. Gatekeepers are a musician’s worst nightmare, right? Well not anymore! You CAN circumvent gatekeepers… If you’re willing to build your own relationships directly with your fans. These four principles (which happen to spell “GATE”) will help you. 1-Generosity. Do you know what your fans want? Give them LOTS of it! You are creative, right? Think of ways to show generosity that don’t cost you money! 2-Authenticity. We’re all weird! Don’t hide your weirdness. Amplify it so that you can attract attract people who are like you, love you for who you are, and will look for you anywhere. 3-Transparency. Be honest about EVERYTHING. With “internet culture”, simple honesty is a REAL breath of fresh air nowadays. 4-Exclusivity. The GREATEST value your music provides is in giving fans permission to be themselves. For them, your music is NOT for the mainstream. It’s personal. It’s for kindred souls. Nurture the “Exclusive Community” of your truest fans. “I was born to make music” is a not a very convincing reason for your community to support you. So you’ll have to dig a little deeper into WHY you make music. Once you know why and how you serve your community with your music you’ll be unstoppable. You’ll always have a reason for you community to gather around you. But if you have GOALS you’d better keep an eye on them and use them for navigation like the North Star. There are lots of different ways to keep in touch with your goals. Journaling, Spreadsheets, Calendars… I even have a vision board! Whatever method you choose, start today. Use any tool you want to document at least one goal. Then commit to looking at it and refining it every single day. If you incorporate all the above into your mindset, you will be ready to take ownership of your music career! If you’d like to learn more about being a Musicpreneur, join the Schwilly Family Musicians community and grab a free Superfan Finding Guide! 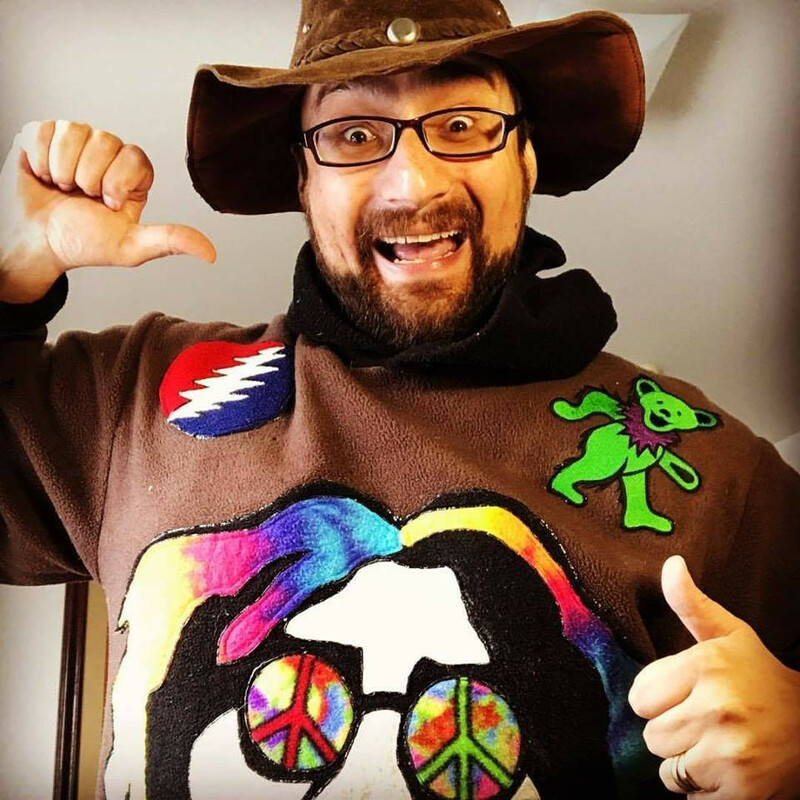 Carlos Castillo is a Musicpreneur Educator, Music Superfan, Accountabilibuddy, Dobro Player, and Captain of Schwilly Family Musicians. He turns musicians into entrepreneurs."